A version of this story was co-published with the St. Louis Post-Dispatch. 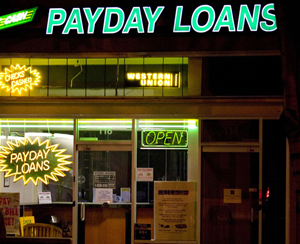 In 2008, payday lenders suffered a major defeat when the Ohio legislature banned high-cost loans. That same year, they lost again when they dumped more than $20 million into an effort to roll back the law: The public voted against it by nearly two-to-one. But five years later, hundreds of payday loan stores still operate in Ohio, charging annual rates that can approach 700 percent. It’s just one example of the industry’s resilience. In state after state where lenders have confronted unwanted regulation, they have found ways to continue to deliver high-cost loans. Sometimes, as in Ohio, lenders have exploited loopholes in the law. But more often, they have reacted to laws targeted at one type of high-cost loan by churning out other products that feature triple-digit annual rates. To be sure, there are states that have successfully banned high-cost lenders. Today Arkansas is an island, surrounded by six other states where ads scream “Cash!” and high-cost lenders dot the strip malls. Arkansas’ constitution caps non-bank rates at 17 percent. But even there, the industry managed to operate for nearly a decade until the state Supreme Court finally declared those loans usurious in 2008. The state-by-state skirmishes are crucial, because high-cost lenders operate primarily under state law. On the federal level, the recently formed Consumer Financial Protection Bureau can address “unfair, deceptive or abusive practices,” said a spokeswoman. But the agency is prohibited from capping interest rates. In Ohio, the lenders continue to offer payday loans via loopholes in laws written to regulate far different companies — mortgage lenders and credit repair organizations. The latter peddle their services to people struggling with debt, but they can charge unrestricted fees for helping consumers obtain new loans into which borrowers can consolidate their debt. Today, Ohio lenders often charge even higher annual rates (for example, nearly 700 percent for a two-week loan) than they did before the reforms, according to a report by the nonprofit Policy Matters Ohio. In addition, other breeds of high-cost lending, such as auto-title loans, have recently moved into the state for the first time. When unrestrained by regulation, the typical two-week payday loan can be immensely profitable for lenders. The key to that profitability is for borrowers to take out loans over and over. When the CFPB studied a sample of payday loans earlier this year, it found that three-quarters of loan fees came from borrowers who had more than 10 payday loans in a 12-month period. But because that type of loan has come under intense scrutiny, many lenders have developed what payday lender EZCorp chief executive Paul Rothamel calls “second generation” products. In early 2011, the traditional two-week payday loan accounted for about 90 percent of the company’s loan balance, he said in a recent call with analysts. By 2013, it had dropped below 50 percent. Eventually, he said, it would likely drop to 25 percent. But like payday loans, which have annual rates typically ranging from 300 to 700 percent, the new products come at an extremely high cost. Cash America, for example, offers a “line of credit” in at least four states that works like a credit card — but with a 299 percent annual percentage rate. A number of payday lenders have embraced auto-title loans, which are secured by the borrower’s car and typically carry annual rates around 300 percent. The most popular alternative to payday loans, however, are “longer term, but still very high-cost, installment loans,” said Tom Feltner, director of financial services at the Consumer Federation of America. Last year, Delaware passed a major payday lending reform bill. For consumer advocates, it was the culmination of over a decade of effort and a badly needed measure to protect vulnerable borrowers. The bill limited the number of payday loans borrowers can take out each year to five. “It was probably the best we could get here,” said Rashmi Rangan, executive director of the nonprofit Delaware Community Reinvestment Action Council. But Cash America declared in its annual statement this year that the bill “only affects the Company’s short-term loan product in Delaware (and does not affect its installment loan product in that state).” The company currently offers a seven-month installment loan there at an annual rate of 398 percent. Lenders can adapt their products with surprising alacrity. In Texas, where regulation is lax, lenders make more than eight times as many payday loans as installment loans, according to the most recent state data. Contrast that with Illinois, where the legislature passed a bill in 2005 that imposed a number of restraints on payday loans. By 2012, triple-digit-rate installment loans in the state outnumbered payday loans almost three to one. In New Mexico, a 2007 law triggered the same rapid shift. QC Holdings’ payday loan stores dot that state, but just a year after the law, the president of the company told analysts that installment loans had “taken the place of payday loans” in that state. New Mexico’s attorney general cracked down, filing suits against two lenders, charging in court documents that their long-term products were “unconscionable.” One loan from Cash Loans Now in early 2008 carried an annual percentage rate of 1,147 percent; after borrowing $50, the customer owed nearly $600 in total payments to be paid over the course of a year. FastBucks charged a 650 percent annual rate over two years for a $500 loan. The products reflect a basic fact: Many low-income borrowers are desperate enough to accept any terms. In a recent Pew Charitable Trusts survey, 37 percent of payday loan borrowers responded that they’d pay any price for a loan. In both cases, the judges agreed that the lenders had illegally preyed on unsophisticated borrowers. Cash Loans Now’s parent company has appealed the decision. FastBucks filed for bankruptcy protection after the judge ruled that it owed restitution to its customers for illegally circumventing the state’s payday loan law. The attorney general’s office estimates that the company owes over $20 million. Both companies declined to comment. Despite the attorney general’s victories, similar types of loans are still widely available in New Mexico. The Cash Store, which has over 280 locations in seven states, offers an installment loan there with annual rates ranging from 520 percent to 780 percent. A 2012 QC loan in New Mexico reviewed by ProPublica carried a 425 percent annual rate. When states — such as Washington, New York and New Hampshire — have laws prohibiting high-cost installment loans, the industry has tried to change them. A bill introduced in Washington’s state senate early this year proposed allowing “small consumer installment loans” that could carry an annual rate of more than 200 percent. Though touted as a lower-cost alternative to payday loans, the bill’s primary backer was Moneytree, a Seattle-based payday lender. The bill passed the state senate, but stalled in the house. In New Hampshire, which banned high-cost payday loans in 2008, the governor vetoed a bill last year that would have allowed installment loans with annual rates above 400 percent. But that wasn’t the only bill that high-cost lenders had pushed: One to allow auto-title loans, also vetoed by the governor, passed with a supermajority in the legislature. As a result, in 2012, New Hampshire joined states like Georgia and Arizona that have banned triple-digit-rate payday loans but allow similarly structured triple-digit-rate auto-title loans. Texas has a law strictly limiting payday loans. But since it limits lenders to a fraction of what they prefer to charge, for more than a decade they have ignored it. To shirk the law, first they partnered with banks, since banks, which are regulated by the federal government, can legally offer loans exceeding state interest caps. But when federal regulators cracked down on the practice in 2005, the lenders had to find a new loophole. Just as in Ohio, Texas lenders started defining themselves as credit repair organizations, which, under Texas law, can charge steep fees. Texas now has nearly 3,500 of such businesses, almost all of which are, effectively, high-cost lenders. And the industry has successfully fought off all efforts to cap their rates. Seeing the lenders’ statehouse clout, a number of cities, including Dallas, San Antonio and Austin, have passed local ordinances that aim to break the cycle of payday debt by limiting the number of times a borrower can take out a loan. Speaking to analysts early this year, EZCorp’sRothamel said the ordinances had cut his company’s profit in Austin and Dallas by 90 percent. When Rochelle Bing bought her modest row home on a tattered block in North Philadelphia 10 years ago, she saw it as an investment in the future for her extended family — especially for her 18 grandchildren. Bing, 42, works full-time as a home health assistant for the elderly and disabled. In summer when school is out, her house is awash with grandkids whom Bing tends to while their parents work. And the home has been a haven in troubled times when her children needed help or a father went to jail. One of Bing’s grandchildren lives there now. But four years ago, something happened that imperiled Bing’s plans. In October 2009, police raided the house and charged her son, Andrew, then 24, with selling 8 packets of crack cocaine to an undercover informant. (Upon entering the house, police reported finding unused packets, though not drugs, in a rear bedroom.) Rochelle Bing was not present and was not accused of a crime. Yet she soon received a frightening letter from the Philadelphia district attorney’s office. Because Andrew had sold the drugs from inside his mother’s house, a task force of law enforcement officials moved to seize Bing’s house. They filed a court claim, quickly approved, that gave Bing just 30 days to dissuade a judge from granting “a decree of forfeiture” that would give the DA’s office title to the property. Bing was devastated. “For me to lose my home,” she recalled recently, “for them to take that from me, knowing I had grandchildren - that would have hurt me more than anything.” And so Bing resolved to do what whatever was necessary to keep the house. She had no idea how long and how difficult that fight would be. On its face, Bing’s predicament might seem implausible if not unjust. How could someone who’s neither accused nor convicted of a crime be forced to give up her property because of another’s misdeeds? But stories like Bing’s are increasingly more common as Philadelphia and other jurisdictions have embraced the expansive power of forfeiture as a crime-fighting tool. The idea behind forfeiture is simple enough: drug kingpins, embezzlers, racketeers and other offenders should not be able to keep the financial fruits of illegal acts. Prosecutors often ask a judge to seize the money, vehicles or real estate of a person convicted of a crime. But authorities can also use civil law to seize assets before the criminal case is adjudicated or, as with Rochelle Bing, even when no charges are brought against the owner. Doing so offers prosecutors considerable advantages. Unlike the “proof beyond a reasonable doubt” required in criminal law, prosecutors seeking civil forfeitures face a much lower standard. Usually, they need only prove that a “preponderance of evidence” connects the property — not its owner — to a crime. Technically, the property — not the owner — is named as the defendant. Over the last two decades, forfeitures have evolved into a booming business for police agencies across the country, from the federal Drug Enforcement Administration to small-town sheriff’s offices. Although there is no single tally of all this activity – the information is buried in the budgets, court records and annual reports of thousands of individual agencies — the available data makes clear that billions of dollars in cash, cars, real estate and other assets are being confiscated nationwide every year via civil forfeitures. One measure is the growth of a program in which federal law enforcement officials seize property on behalf of local authorities in exchange for a share of the proceeds. In 2000, officials racked up $500 million in forfeitures. By 2012, that amount rose to $4.2 billion, an eightfold increase. Bing is among a significant number of property owners not charged with any crime who lost their home or have battled for years against forfeiture actions. Other similar cases reviewed by ProPublica include an elderly widow, two sisters who shared a house, a waitress and hospital worker caring for two children, and a mother of three whose family wound up homeless. All stemmed from drug charges brought against a family member. Critics argue that the power to pursue civil forfeiture has been abused by prosecutors and is creating a new class of collateral victims. Often they are minorities like Bing without the financial resources or legal know-how to protect their assets. And prosecutors typically prevail. Of nearly 2,000 cases filed against Philadelphia houses from 2008 through 2012, records reviewed by ProPublica show that only 30 ended with a judge rejecting the attempt to seize the property. “On the federal level, you tend to see bigger cases get attention — kingpins and that sort of thing — which is what Congress intended with forfeiture,” says Louis Rulli, a law professor at the University of Pennsylvania and director of its civil legal clinic, which does some pro bono work for homeowners facing forfeiture. The Philadelphia DA’s office defends forfeiture as a tool for the public good. In the case of forfeited houses, that means protecting neighborhoods from “nuisance properties” which serve as a base for illegal activities. But that’s not how the law looked to Bing and others who’ve spent years battling the city in court. Records show that Philadelphia uses forfeiture on a scale and in a way unlike any other county in Pennsylvania. Since 2008, the next three largest counties in Pennsylvania – Allegheny, Montgomery and Berks – have taken fewer than a dozen houses combined, even though they operate under the same state drug laws enabling forfeiture. By contrast, the Philadelphia DA’s office files forfeiture motions on 300 to 500 private residences annually. It seizes and sells as many as 100 or more properties each year, bringing in more than $1 million annually in real estate sales alone. In 2010, the year the DA went after Bing's house, it acquired 90 houses via forfeiture and auctioned 119 properties for $1.2 million. The money went directly to the DA’s office and to the Philadelphia police department, including the narcotics units involved in raids that resulted in the forfeitures. Money from housing sales in 2010 represented about a fifth of all the DA’s $5.9 million in forfeiture income that year. The rest was generated by seizure of cash, cars and other property. Last fall, a story by this reporter in The Philadelphia City Paper disclosed that the DA’s office moves to seize virtually every dollar in cash found by police in stops — even amounts of $100 or less. Under the law, prosecutors need not secure a conviction in the underlying criminal case to keep the cash. The money raised through forfeiture is handled outside the city’s budgeting and appropriations processes. The law requires only that it be used to enforce Pennsylvania’s drug laws. Critics and experts who study the issue say that gives prosecutors a powerful motive to step up the pace of forfeitures. “The idea that law enforcement can raise money on its own, through this self-help practice of forfeiture — it’s subversive to the idea of democratic accountability and rule of law,” said Eric Blumenson, a research professor of law at Suffolk University. Blumenson has criticized the reliance on forfeiture, saying it prompts law enforcement officials to over-emphasize drug prosecutions at the expense of other crime-fighting. 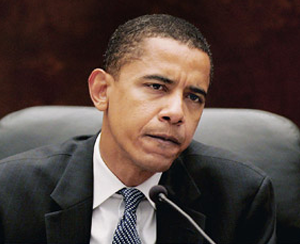 “Prosecutors and police are only too happy to use forfeiture, because it fills their coffers. And why would they stop? They’ve become dependent — you can look at it as an addiction by itself,” Blumenson said. Prosecutors and police view the issue differently. In an interview last year, officials from the Philadelphia DA’s office last defended the practice as a means of improving civic life. Every weekday, Courtroom 478 in Philadelphia’s City Hall fills with people — most are poor, black and Latino — trying to get back seized property. An administrative judge presides, interacting entirely with assistant district attorneys, who effectively run the show. Some property owners are represented by a lawyer; most are not. Many have been there before, often a dozen or more times, only to have their cases rescheduled over and over. Some have spent years in legal limbo until the case is decided, even longer on appeal. According to multiple accounts, Tracy Clements was sitting on the sofa on the first floor of her North Philadelphia row house on April 21, 2010, when her brother, William Clements burst in followed by police in hot pursuit. William Clements was arrested and convicted seven months later on drug-related charges. Neither Tracy, 49, who worked on an assembly line and cared for a son in the house, nor her sister, Sheila, 56, who worked for the IRS and was out of town visiting a daughter at Penn State, were charged with a crime. The two had inherited the house from their mother when she died in 2008. They had played there as children. When their brother William was released from prison, according to their attorney, Jonathan Freedman, they refused to let him live there again. The DA disagrees, and has appealed, arguing that at least one of the sisters, Tracy, was home during the drug transactions on the porch, and must have known they were occurring. Prosecutors argue that she turned a blind eye to the crimes. The DA cited policy testimony indicating that a mirror with cocaine residue was found in her bedroom, though Tracy Clements testified in court that she knew nothing about the mirror and that it hadn’t been in her room when she left for work that day. The Clements sisters, at least, had professional legal representation; many facing forfeiture do not. Unable to afford an attorney, Takeela Burney chose to fight the forfeiture of her house alone after her son was arrested on May 6, 2010, for a single sale of $20 worth of cocaine from the house. Over the course of the next two years, Burney would appear several times in court in an effort to save her house. Because many real estate forfeiture cases are resolved through deals with prosecutors, most of the homeowners contesting their forfeiture cases never appear before a judge. Burney, however, eventually appeared as her own lawyer before Judge Paula Patrick, on May 13, 2012. When a prosecutor called a Philadelphia police officer as a witness, Burney didn’t seem to know what to do. Rather than cross-examine the officer, she attempted to explain her side of the story to Judge Patrick, court records show. Patrick said “that it was not her turn to tell her story,” according to an appellate court’s summary of the case. When asked if she had any questions for the officer, she answered, “Not at this time,” as if she’d have another chance to challenge the testimony. Judge Patrick granted the DA’s motion for forfeiture. 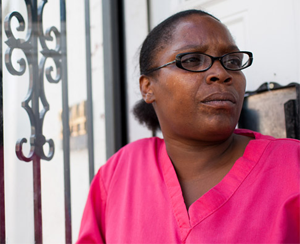 At the very last moment, Burney contacted the Philadelphia Volunteers for the Indigent Program, a legal aid group which agreed to take on her case. Burney’s attorney, Matthew Lee, filed a brief arguing that his client had never been informed of her right to a jury trial and that a lawyer should have been appointed for her. An appeals court blocked the forfeiture, ruling that Burney deserved to know of her right to a jury trial. The judges did not address the question of whether Burney was entitled to a court-appointed lawyer. Philadelphia is hardly alone in its aggressive pursuit of forfeiture. In Washington, D.C., the City Council recently held hearings on a bill that would impose new limits on cases arising from cars linked to crimes. For years, the Metropolitan Police Department has seized cars by the hundreds and required owners to post “bonds” if they wanted to contest that action. Last May the D.C. Public Defenders Service filed a class-action lawsuit against the city, asserting that the practice violates the U.S. Constitution's Fifth Amendment’s guarantees of due process. They argued that car owners who can’t afford to put up money are deprived of their property without any judicial review. The D.C. City Council is considering change in the law, including putting the money from forfeitures into the city’s general fund rather than law enforcement budgets. (The Attorney General for the District of Columbia opposes this bill, as does the city administration). Last year, police officials in Tenaha, Texas, agreed to various monitoring and reporting conditions after being sued by the American Civil Liberties Union for stopping drivers, mostly minorities, and seizing their cash and other property. Tenaha police often did not charge the motorists with any crime but threatened them with arrest if they didn’t agree to forfeit their possessions, according to the lawsuit. In settling the case, Tenaha officials denied that the traffic stops were unconstitutional. The Teneha case drew national attention – briefly, at least – to the larger issue of forfeiture. But the revelations underscored how little is known about forfeiture practices nationwide. “Every police department in Texas is pocketing money from forfeiture,” she said. Spurred by similar reports of the abuse in the late 1990s, former Rep. Henry Hyde, R-Ill., held a series of hearings on forfeiture, prompting the passage of the Civil Asset Forfeiture Reform Act of 2000. The law addressed several key shortcomings in federal forfeitures, providing “innocent owners” with a defense against being punished for the crimes of a relative or friend. It also provided for the appointment of an attorney when a homeowner faced the loss of his or her primary residence and was too poor to afford legal help. Those reforms did not extend to the local level, where forfeiture is often governed by state laws. In 2010, the Institute for Justice released a report entitled “Policing for Profit,” which represented one of the first attempts to catalogue each state’s laws regarding forfeiture. It found that most offered minimal protections to property owners. North Dakota, for example, is among the few states that impose limited restrictions on the practice, prohibiting forfeiture of a home co-owned by someone not accused of a crime. Critics have been pushing local legislators to enact additional rules. Forfeitures in cities like Philadelphia and Washington, D.C., are conducted through civil laws. One way to eliminate the inequities of that system would be to conduct property seizures only through parallel laws in the criminal code. Such laws come into play only after an accused criminal has had his or her day in court. The ACLU’s Gupta said this would rule out one of the more unfair results of the civil cases, which is that people are arrested, lose their property and are then ultimately acquitted on the criminal charges. The courts of Allegheny County, Pa., have answered that question, requiring local judges to pursue property seizures in most cases through the state’s criminal statute and then only after the person involved in the case is convicted. That practice began under the late Judge Robert Dauer, president judge in the county’s trial courts, and continues to this day. In 2009-2010, the county did not seize a single house. “Our policy was we had to have a conviction and it had to make some reasonable sense why we were going after forfeiture,” recalls Pennsylvania Superior Court Robert Coville, who headed up the Allegheny County District Attorney’s office for 21 years. Coville says that as DA he supported using criminal, not civil, forfeiture as a matter of principle. Coville declined to comment on the specifics of this story, as legal issues around forfeiture very well may come before him in his role as an appellate judge. But speaking from his experience as a former county prosecutor, he said he is troubled by the idea of supplementing police and prosecutor budgets with money from forfeitures. Other legal experts see the right to representation – especially in cases involving something as important as a home -- as the single best way to curb injustices. Rochelle Bing’s case illustrates the value of legal counsel. Like Burney, Bing couldn't afford a lawyer herself. She eventually was referred to the University of Pennsylvania Legal Clinic where law students took on her case without charge. Bing said she would have agreed to that condition at the outset.